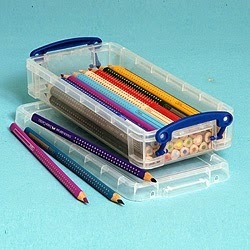 ..I'm back today with another storage idea for you.. this time it's for our much loved Copic pens! 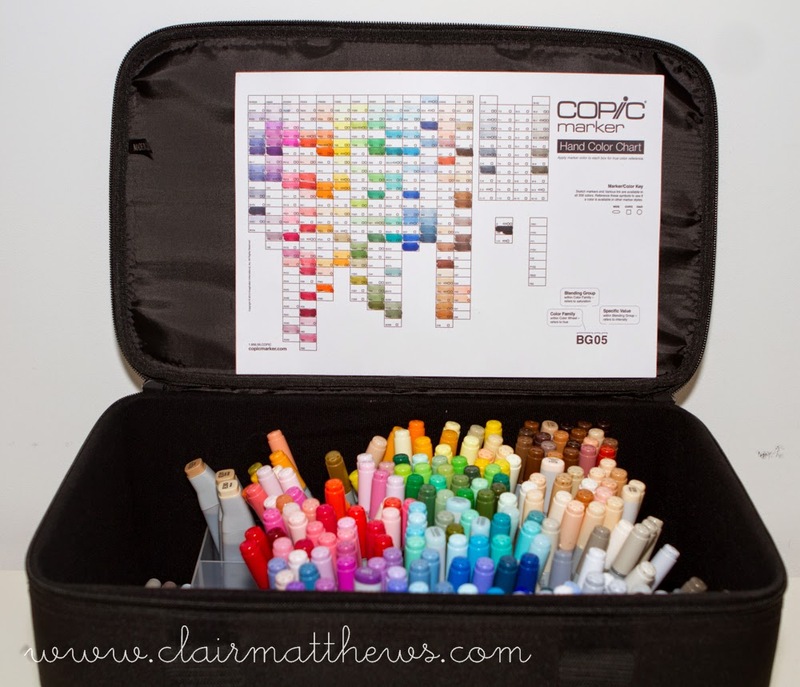 I've tried many ways of storing mine over the years, they started out in a Really useful box..
..then I changed to the Ikea bygel pots which I had hanging on a rail on front of my desk..
so finally I've invested in the Copic carrying case..
this seems to be working fantastically! 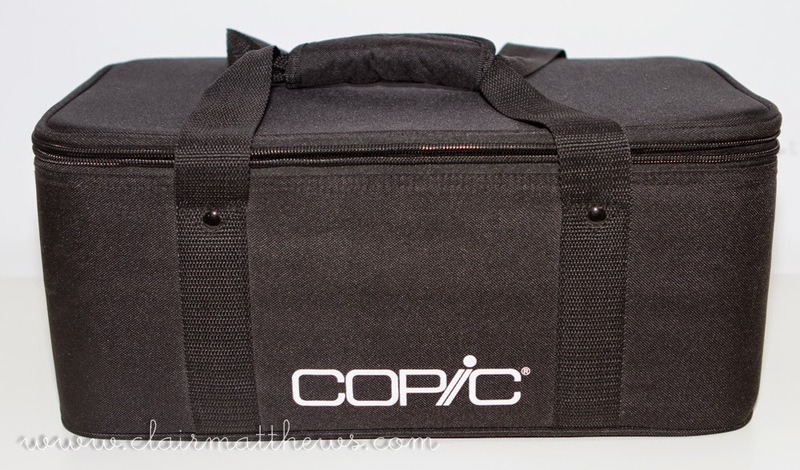 It's a well made solid case which is big enough to hold the full set of 358 Copics..
it comes with 6 small, removable, dividing bags, which to be honest I found too flimsy so I took those out & bought a RUB dividing tray which fits inside nicely & keeps your pens upright.. It has two short handles & a longer adjustable shoulder strap so it's very easy to carry. 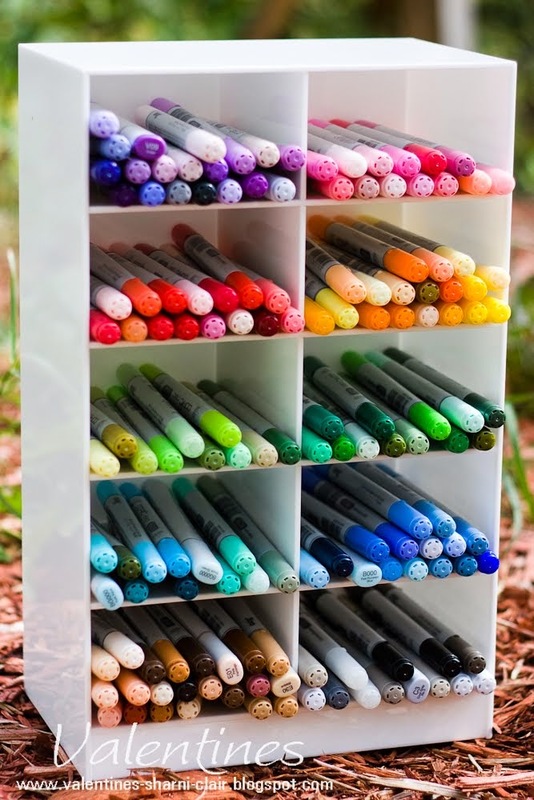 ..all my Copics now live happily in there & it gets stored neatly on top of my Ikea expedit unit. I use the Copic chart to keep track of which pens I still need to buy - you can download one by clicking the link HERE. 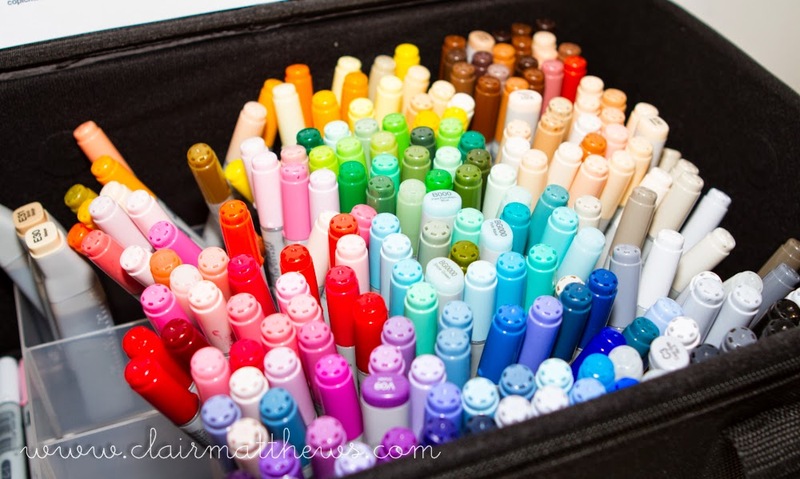 Love the copic storage. I have got a smaller version as you say it's quite a solid case. But I really wished I thought about It more and got the bigger one!